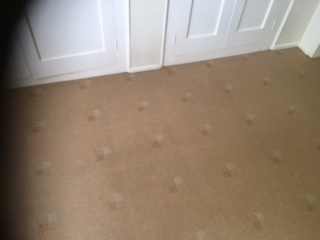 Are you moving out of your rental property and your carpets look like this? If so you need our discount end of tenancy cleaning in Oakham service. We offer the same level of cleaning as for all our regular customers but at a reduced price to reflect that the property is empty and therefore easier for us to clean without having to move lots of furniture. As you will be aware your letting agent may well suggest a carpet cleaning company to you. By all means get a quote from them but then call us for an alternative quote and I’m sure you’ll be pleasantly surprised. 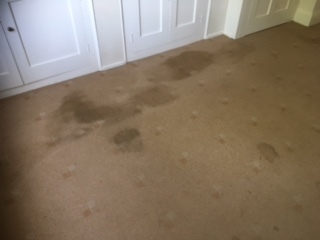 What you may not be aware of is that most letting agents have arrangements with their favoured carpet cleaners which mean they, the agent, receive a payment from the cleaner for each referral to them. That payment does not come out of the pocket of the carpet cleaner but does come out of yours as they cost of the clean is inflated to cover the cost of this payment. You’ll be pleased to know that at The Rutland Cleaning Company we refuse to enter into any such arrangements with letting agents and so the prices we charge do not include any extra’s to cover the cost of payments to the letting agents. 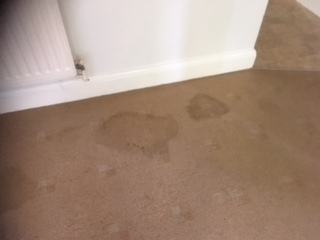 That being said, we have a good relationship with all the local letting agents and they are more than happy with our standards, indeed none of our customers have ever had their deposit retained as a result of issues with their carpets. The photos show a clean we did only last week. The tenant was worried that his deposit would be lost due to the state of the carpet in one room. 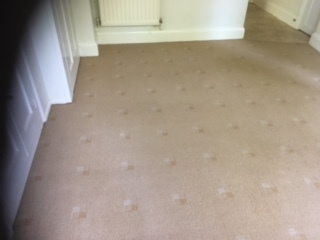 Thanks to our knowledge, cleaning solutions and state of the art equipment, we were able to sort out the carpets so they looked ‘as new’ and certainly his deposit will be returned.